I feel so excited and blessed to be a member of Team MTF—Running for Research and to help raise awareness and support for massage therapy research. I have been running in marathons and half-marathons for the past 20 years and have always dreamed of running in the Boston Marathon®. I am passionate about how massage therapy can help with recovery from addiction and injury. What a privilege to have the opportunity to raise money for all the things I feel most passionate about: massage therapy research, running and recovery! I first experienced the efficacy of massage therapy when I injured my back many years ago while moving furniture. After seeing a massage therapist for four months I was completely healed. I was struck by the ability of a therapist to make such a positive difference and improving my health through massage therapy. My 13-year career as a pharmacist no longer felt fulfilling, and I decided to apply to massage school. I knew after my first week of classes at the Denver School of Massage Therapy, that this was what I was meant to do for the rest of my working life. 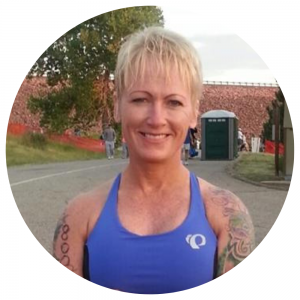 I have owned my practice, Hands On Healing Massage Therapy, and worked as a Board Certified Massage Therapist for seven years. I truly enjoy when a client comes to me with an issue and improves over the next few sessions until they are able to decrease the frequency of their visits to a monthly maintenance treatment. Watching people be relieved of pain and discomfort and begin to enjoy life again is priceless. 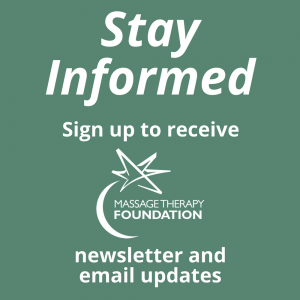 I am a strong supporter of the Massage Therapy Foundation and of research in the field of massage therapy because the more we know about how we can help the client or patient, the more effective we become. Research is the keystone to enhancing and implementing massage therapy. 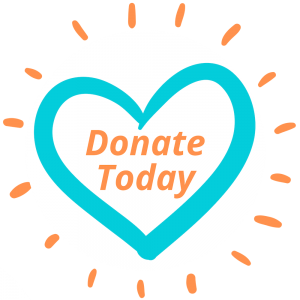 I am filled with gratitude for the ability to run and fundraise, and I look forward to running for MTF in the 2019 Boston Marathon!